Boxers can be difficult to shop for. Whether it is your teammate, significant other, sibling or friend, finding that perfect gift can be more difficult than trying to knock out Floyd Mayweather Jr. What do they need or want this holiday season? Boxing Insider has composed a short list of things that are sure to make them smile. Have you ever smelled your boxer’s sparring or training gear? Depending on how much it is used, how old it is and how well the equipment has been taken care of between training session, it can smell like something died in their gym bag. 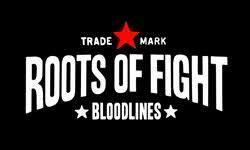 Title is one of the most trusted boxing equipment companies in the industry. 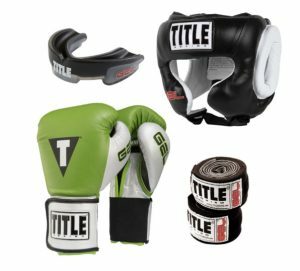 They have a ton of great gifts to choose from, but the Title Gel Holiday Set comes complete with new (good smelling) gloves, headgear, wraps, and mouthguard. Anyone who has knowledge of the combat sports industry is likely familiar with the game’s favorite cutman. 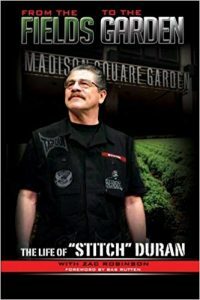 Stitch Duran’s book tells his inspirational story of growing up as a poor migrant farm worker to becoming a world-famous cutman across all major striking disciplines. The book “From the Fields to the Garden,” is full of engaging and entertaining locker room stories that make for a great read in-between training sessions or when your boxer is taking that much-needed rest day. The most extensive combat sports streaming service has now filled the gap in many areas of boxing and MMA broadcasting. 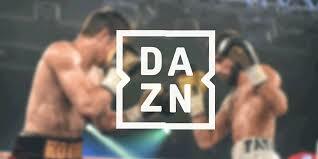 Give your boxer the gift of a DAZN subscription for $9.99 a month. Sign up online and use a holiday card to write the custom username and password you have chosen. A full year of great fights is something that can be shared with friends and teammate, which means you have the added bonus of always knowing where to watch the fights! Boxers get hit in the head a lot. There is no way around it despite all that practice blocking and evading. CBD has been patented by the U.S. Government as a neuroprotectant and antioxidant. Protecting and healing those brain cells can make a big difference, especially for those who spar often. CBD oil is also known for its ability to reduce inflammation and boost mood even after a rough practice. 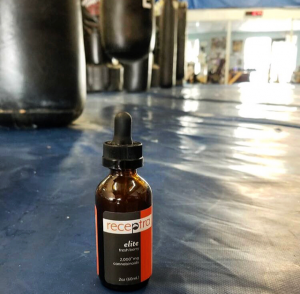 If you care about the health of your boxer, Receptra CBD makes a really great stocking stuffer. Sign up for the Receptra Naturals newsletter for exclusive discounts. Every boxer has an idol. They may be someone still fighting, or someone who’s legacy has long outlived them. If you know which greats are the favorites for your boxer, Roots of Fight or Title Legacy are very likely to have the perfect boxing holiday gifts in the form of a high-quality hoodie, T-shirt, hat, or other apparel. This way your boxer can look great in and out of the ring! Boxing is a passion. 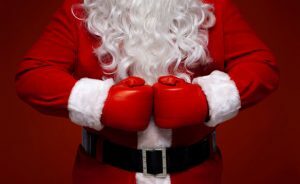 Help encourage and support your boxer all year round with these great boxing holiday gifts. They will surely be appreciative of your thoughtfulness. Happy Holidays!